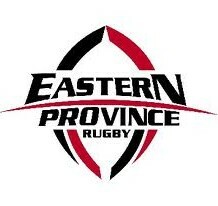 RUGBY clubs from Eastern Province and Border will again vie for regional honours when the prestigious Eastern Cape Super 12 competition kicks off on Saturday, February 13. This annual tournament is one of the flagship programmes of the Department of Sport, Recreation, Arts and Culture (DSRAC), in partnership with the EP and Border rugby unions. The tournament excludes sides included in the Gold Cup and the Varsity Cup, but will represent the cream of Eastern Cape club rugby as six EP teams and six Border sides line up in a clash for regional bragging rights. In a statement announcing the tournament, the DSRAC said: “Rugby in our two provinces is played by both rural and urban clubs. We pride ourselves as being the home of ‘black’ rugby because nowhere else in this country will you find a number of players being produced as is the case in Eastern Cape. “Each year BRFU and EPRU play their own club league competitions, where the champions and top clubs are determined, but no club tournament was played between the two unions. “Therefore, a great need was identified for clubs to play across the provinces of SARU. This was done to revive, revitalise and promote rugby at club level. The profile and relevance of amateur rugby is increased by these tournaments that reward aspirant players and clubs. An indication of strength of the competition is that the two clubs who met in last year’s final, champions EL Police and Uitenhage outfit Gardens, will meet in the first round this year, having been drawn in the same group. The 12 teams have been divided into three groups of four and will play three round-robin games to decide which teams advance to the playoffs. At the conclusion of the round-robin, the top two from each pool will qualify for the playoffs, as well as the best third-placed teams. The eight teams will contest the quarterfinals, followed by the semifinals and the final. 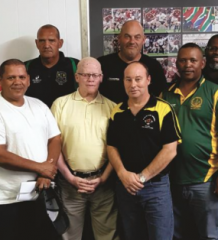 “Players and clubs are passionate about this developmental competition and are further excited to have another opportunity to be part of this six-week long rugby competition”, said Phillip Joseph of the Eastern Province Rugby Union. A section: Berlin Tigers v Spring Rose, Progress v Winter Rose.